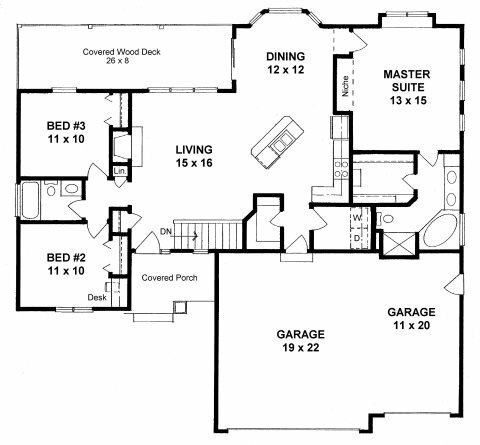 Plan #1418 is designed for split-bedroom privacy and an open living area with access to the covered rear deck. The Kitchen has an Island bar and a walk-in pantry, the Master Suite features a window seat and a furniture niche. 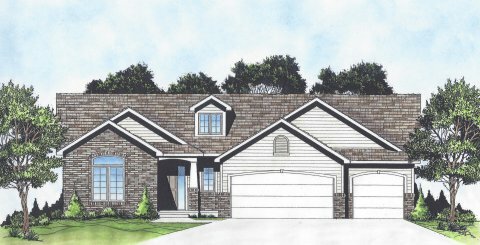 Nine foot ceilings thru-out the house are raised even more with vaults in the Living, Dining, Kitchen and Master Suite.